Community partners are working to improve water quality through education that will help farmers find profitable ways to lessen the use of fertilizer and prevent it from entering waterways. A wetlands feasibility study and equipment and support for water quality improvement techniques at Lake Choctaw are bringing together farmers as well as a suburban community. 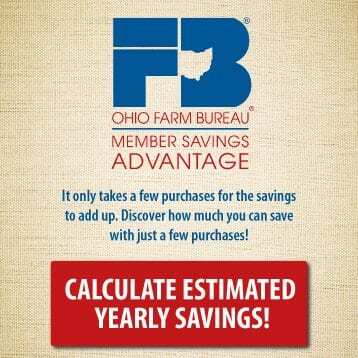 This year, Ohio Farm Bureau is providing nearly $150,000 in direct support to projects identified by its volunteers that will help improve water quality in their communities. With additional matching funds from partnering organizations, these projects will provide more than $700,000 in total resources. 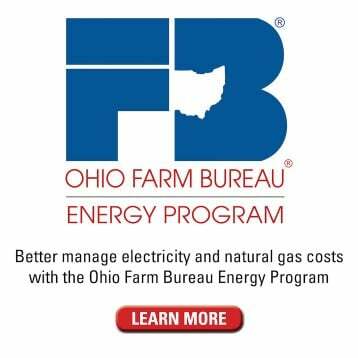 The grant program is part of Ohio Farm Bureau’s $1 million Water Quality Action Plan, which aims to protect the environment and preserve farmers’ ability to produce food. 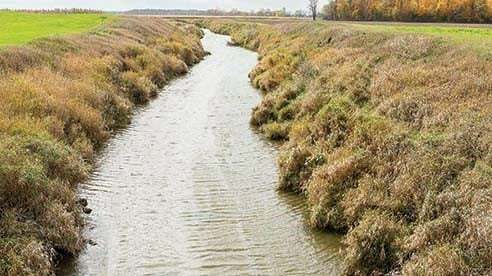 The money adds to the organization’s efforts in recent years to establish training programs and update rules and regulations that will help farmers do their part to protect Ohio’s water resources. Following is an introduction to the programs. Our Ohio will continue to share the impact of individual projects are making as they develop. 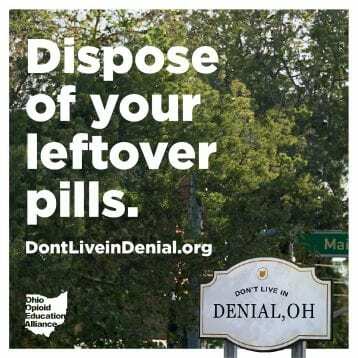 This grant will fund the distribution of educational materials at EarthFest, which bills itself as Ohio’s largest environmental education event. 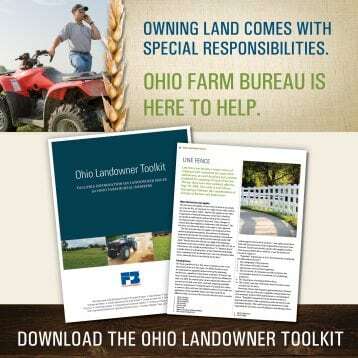 Partnering organizations: Cuyahoga County Farm Bureau, Cuyahoga County Soil and Water Conservation District. 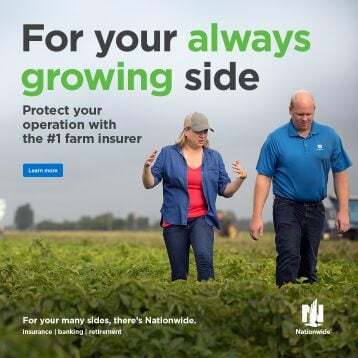 A campaign in northwest Ohio is raising awareness in the community of the day-to-day efforts in agriculture that will protect water quality. Partnering organizations: Wood County Farm Bureau, Wood County Soil and Water Conservation District. 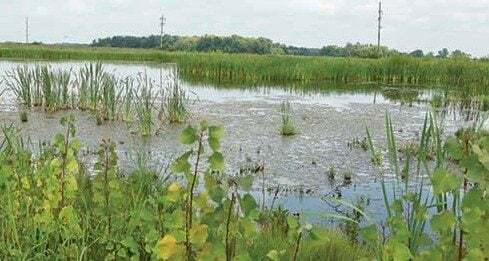 Local organizations are partnering to install a rain garden that will help protect the waters of Indian Lake from potential pollutants that run off from the impervious surfaces of the bike path and parking lots. Partnering organizations: Logan County Farm Bureau, Indian Lake Watershed Project, Logan County Soil and Water Conservation District, Cool Clovers 4-H Group, Indian Lake Women’s Club. The development of a mobile app will help farmers better keep records of where and when they apply fertilizer to comply with new state requirements. 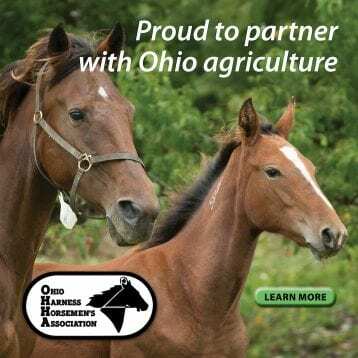 Partnering organizations: Knox County Farm Bureau, Knox County Soil and Water Conservation District, Muskingum County Conservancy District, Ohio State University College of Food, Agricultural, and Environmental Sciences. This project leverages federal funds to help farmers install conservation practices and plant cover crops to improve overall soil health, reduce erosion and prevent nutrients from entering waterways. Partnering organizations: Adams County Farm Bureau, Adams County Soil and Water Conservation District, Brown County Soil and Water Conservation District, Highland County Soil and Water Conservation District, Ohio State University Extension, Dayton Power and Light, U.S. Department of Agriculture Natural Resources Conservation Service. 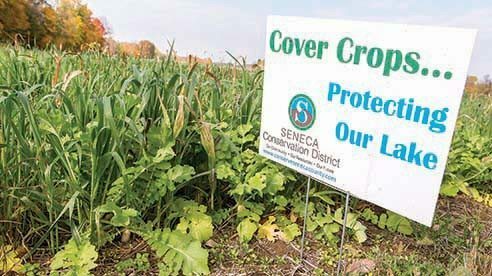 By helping farmers purchase and plant fall cover crops, a southwestern Ohio community hopes to see improved water quality in the Dry Fork/Howard Creek sub-watershed of the Whitewater River. Partnering organizations: Hamilton County Farm Bureau, local farmers, Great Miami Water Quality Lab, Hamilton County Soil and Water Conservation District, U.S. Department of Agriculture Agricultural Research Service. 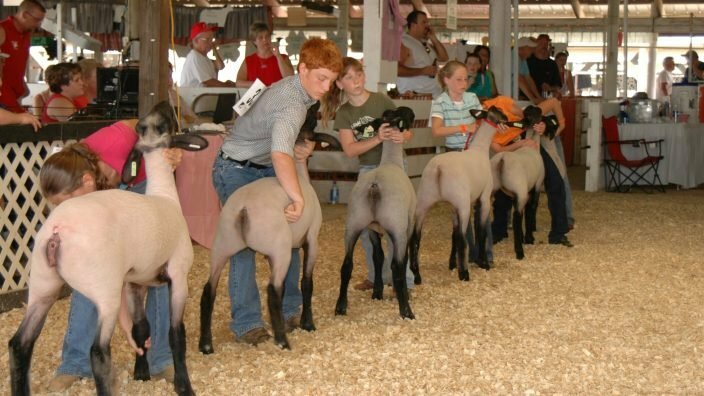 A family water education and entertainment day will be held at the Ottawa County Fair highlighting the many agencies and programs available to help citizens learn about water quality. A second weekend of events will be held at the Port Clinton Harvest Festival. 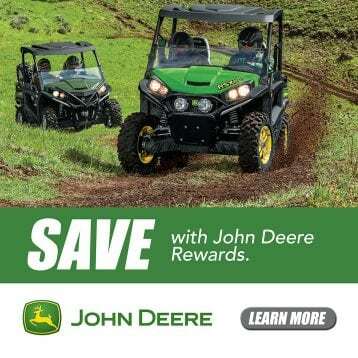 Partnering organizations: Darke County Farm Bureau, Ohio Environmental Protection Agency, Mississinawa Local Schools, Scott Labig Farms, Ohio State University, The Anderson Company, local farmers and equipment dealers. The Collaborative Look at Evaluating Available Nutrients (C.L.E.A.N) project will help farmers and the public understand the effects of nutrients on the soil profile through the implementation of advanced soil scan technologies. 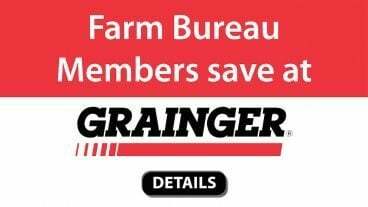 Partnering organizations: Lucas County Farm Bureau, Lucas County Soil and Water Conservation District, Ottawa County Soil and Water Conservation District, Wood County Soil and Water Conservation District, Lake Erie Waterkeeper Association. Local leaders and community influencers will engage in a workshop series on a broad range of water resource protection opportunities and challenges within the headwaters of the Scioto River Watershed. Partnering organizations: Delaware, Marion and Morrow County Farm Bureaus and Soil and Water Conservation Districts, Ohio State University Extension, Del-Co Water, Price Farms Organics, U.S. Department of Agriculture Natural Resources Conservation Service and Agricultural Research Service. A canoe watershed tour and educational workshop helped the community get a first-hand look at water quality issues. Partnering organizations: Fayette County Farm Bureau, Fayette County Soil and Water Conservation District. A wetlands feasibility study and equipment and support for water quality improvement techniques at Lake Choctaw are bringing together farmers as well as a suburban community. Two downstream state parks also stand to benefit from local efforts to improve water quality. Partnering organizations: Madison County Farm Bureau, Choctaw Lake Property Owners Association.